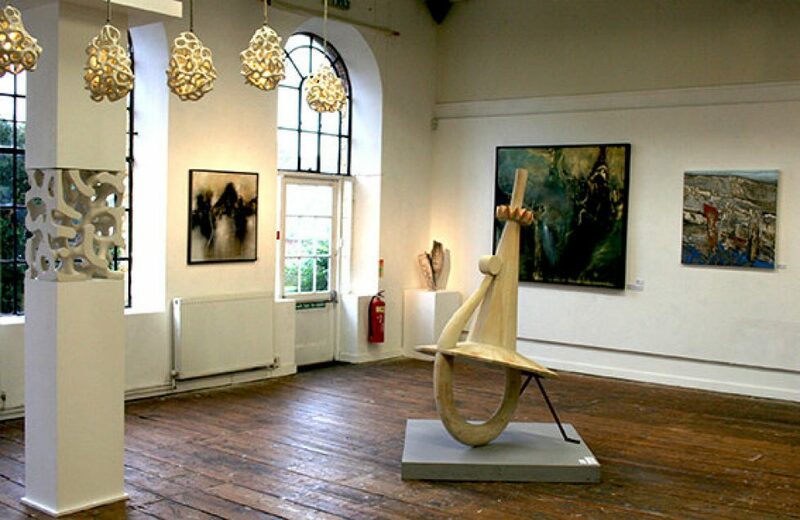 Royal West Academy of Arts 161st Annual Open Exhibition, Bristol November 2013 – January 2014. I am very pleased to have been selected to participate in this important exhibition. 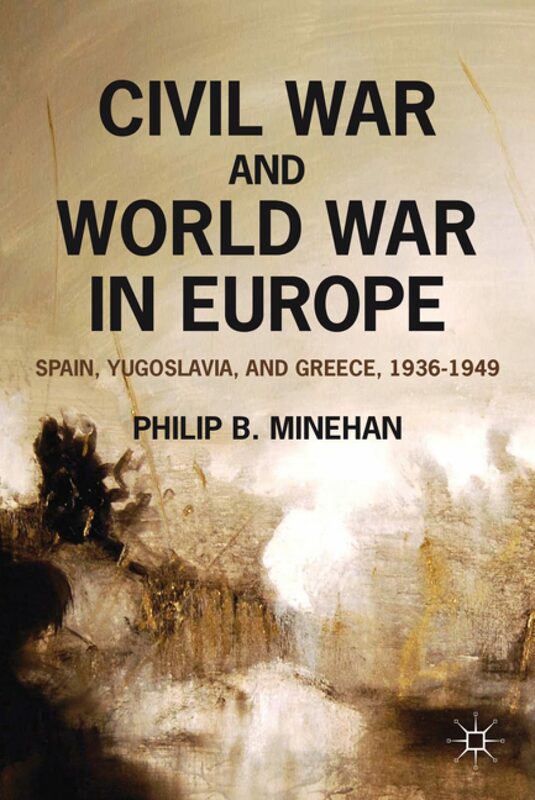 Philip B. Minehan is an Assistant Professor in the Department of History at the University of Wisconsin, Milwaukee. 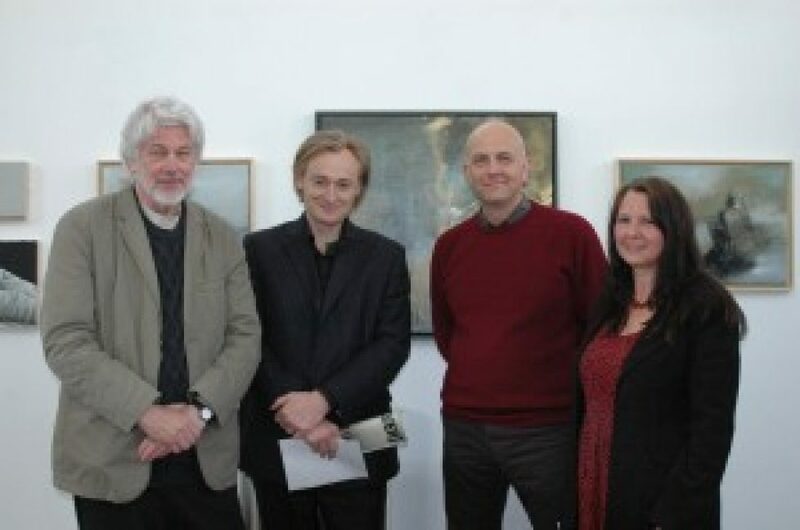 Marshwood Vale Arts Awards 2013. 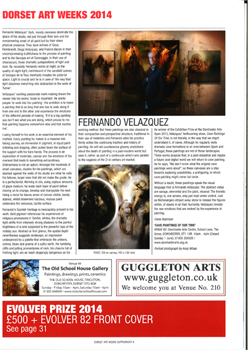 I am very pleased to be one of the painters selected to exhibit in this wonderful exhibition. 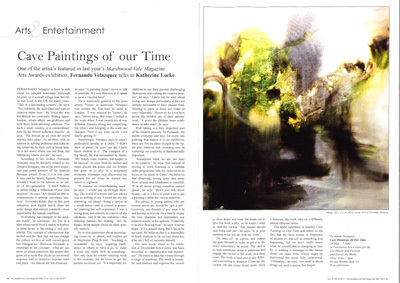 It is a privilege to show my work amongst such distinguished artists, particularly John Hubbard. 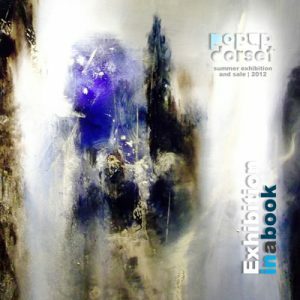 It is also an honour for me to be one of the 3 winners of the painting category in this national open submission event. 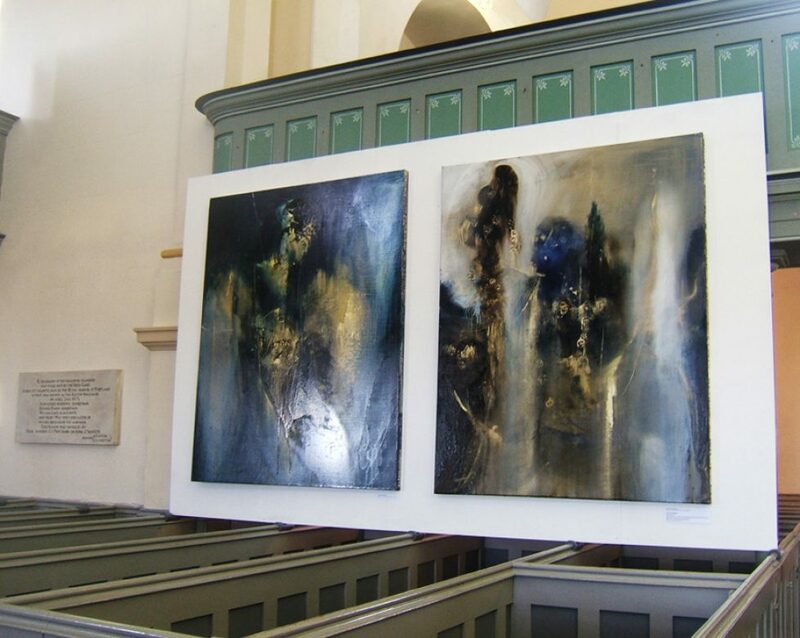 I recently entered three paintings in the Dorchester Arts Open Exhibition 2013. I’m really pleased that all three have been selected for exhibition and one, Floating Stone (detail above), has been selected for the event publicity. 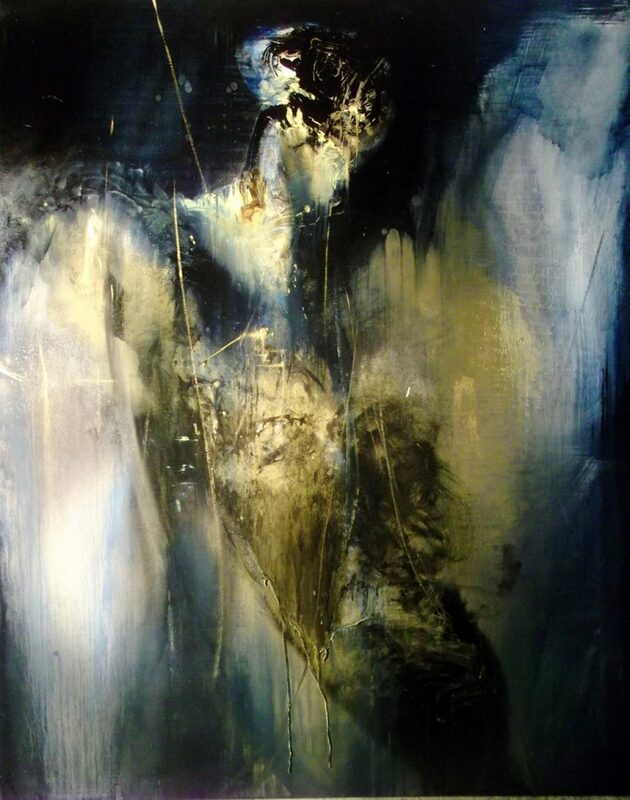 I am also extremely happy to have received the Exhibition Prize, giving me the chance to produce a solo show for next year’s Dorchester Festival and Dorset Arts Week 2014. See details on the Dorchester Arts Website. I have recently completed a large new oil painting (240 x 150cm). It is “Amida” a star maker, a figure that creates dust from chaos, from shapeless matter. 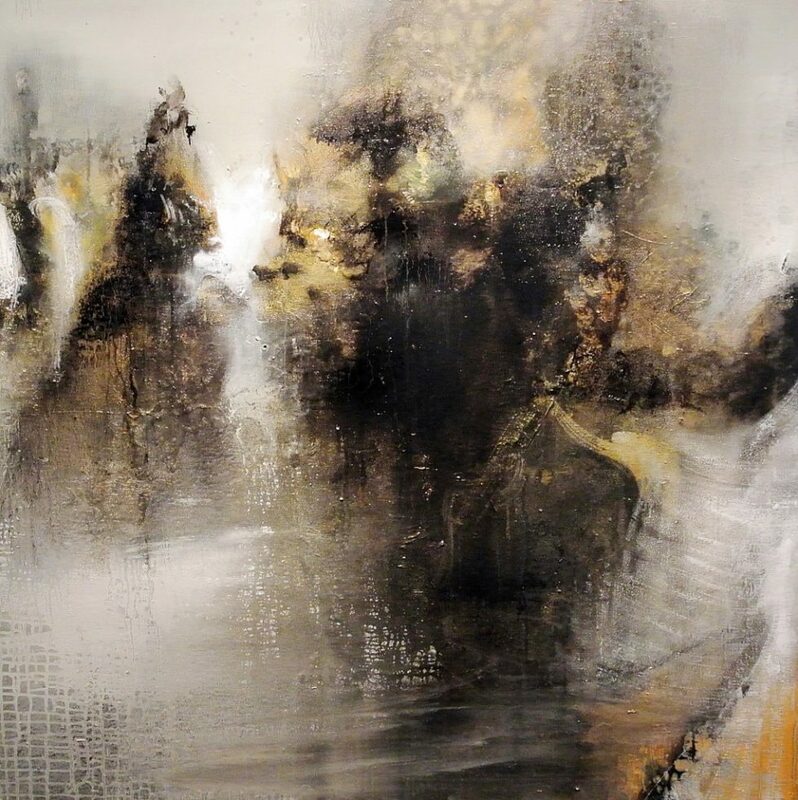 The painting is now part of the Solterra Art Collection in Spain. I travelled over to Portland for the last day of this year’s Pop Up Dorset. Great to chat to some of the visitors and meet some of the other artists. Here are a couple of images from the day. 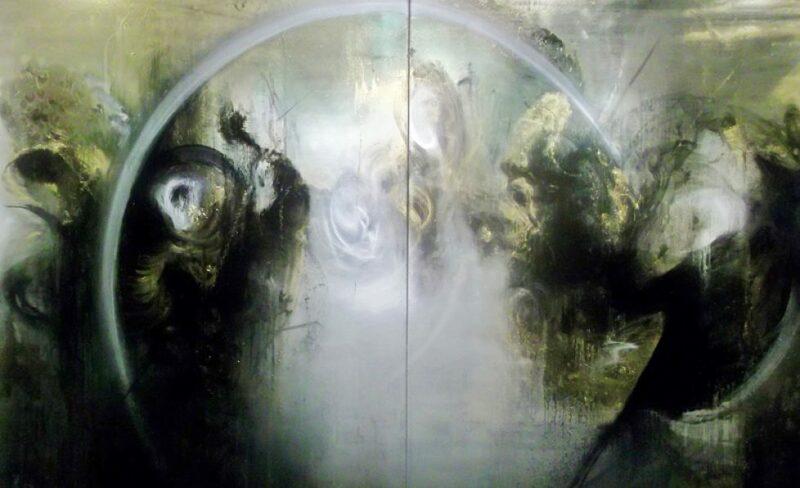 Incidentally “Mago” and “Veil” are now part of private collections in Spain. I was lucky enough to spend some time with the film maker Norman Lomax. Norman is a former staff photographer at The Independent and The Observer and have free-lanced for most of the top magazines in Europe including Stern and Figaro. After a spell working in education, new technology has enabled him to shoot digital film. His recent movie in Portland is both beautiful and poignant. 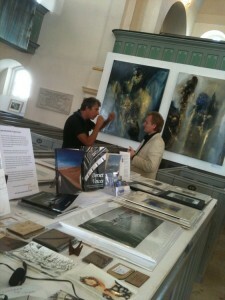 Myself chatting with filmmaker Norman Lomax at Pop Up Dorset 2012.